Designed to provide a mortar – free and secure method of fixing concrete interlocking verge tiles. It’s neat interlocking design provides a consistent appearance that requires no maintenance. Installation Extend the tiling battens 20mm beyond the gable wall or bargeboard and nail a Batten End Clip to the end of every batten. Fix the Eaves Closure to the end of the fascia board or brickwork. 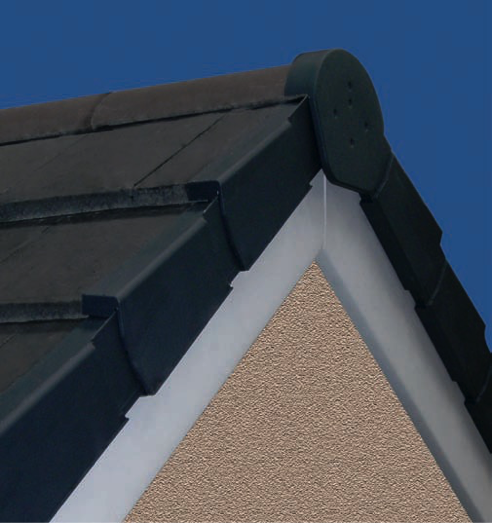 Slide the first Uni-Click® Dry Verge unit over the Eaves Closure and the bottom tile. Nail into the tiling batten through the Batten End Clip. 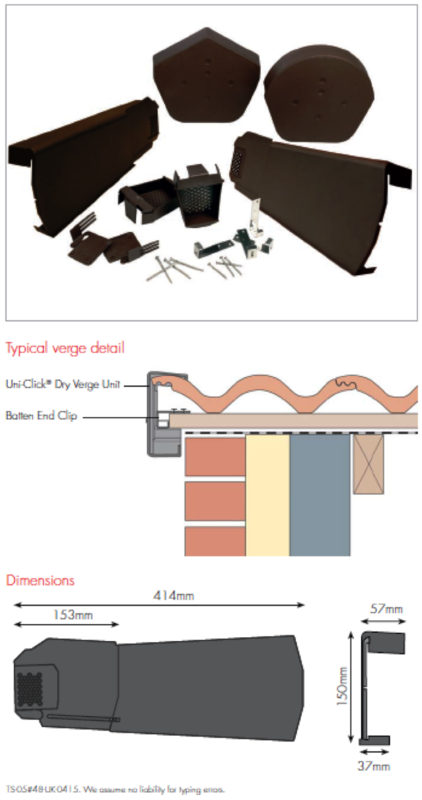 As each successive verge tile is laid, engage a Uni-Click® Dry Verge unit with the one below on the underside of the unit and then click it over the top of the unit below and then slide it up into position nailing through the Batten End Clip into the batten. Insert a Ridge Closure into the last unit, interlocking the combs of each Uni-Click® Dry Verge unit at the apex. Screw fix the Ridge End Cap to the ridge batten. When installing onto an existing verge the old mortar between the tiles and the undercloak must be removed prior to the verge units being fitted. The tile battens must overhang the gable wall or bargeboard by 20mm and a Batten End Clip nailed to each batten. If a Batten End Clip is not being used we recommend that the batten is extended 30mm over the barge board or brickwork and 40mm (minimum) x 3.25mm ring shank nails are used to fix the verge units. Prior to fixing the batten ends must be in good condition with no signs of decay. 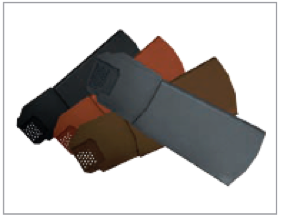 The Uni-Click® Dry Verge system may be used in conjunction with a wet or dry ridge system of your choice.